It’s the most wonderful (and busy) time of the year! For crafters, the Christmas season takes on a life of its own. We know that between gift buying, cookie baking, and hosting relatives, sewing for Christmas can sometimes seem like a chore. Christmas sewing is such a fun, festive way to celebrate the season, that we’d hate for you to miss out! That’s why we’ve rounded up this comprehensive Christmas sewing guide. We’ve covered all the bases with ways to decorate for Christmas, Christmas ornaments, and even DIY gift ideas. Our free Christmas sewing patterns are original, simple, and easy to follow. You’ll love these simple Christmas sewing patterns as they help decorate your home or make special gifts for loved ones. If you enjoy sewing for the holidays, check out these free Christmas sewing patterns and embrace all the creativity this season has to offer. We all know the Christmas season can be a hectic time. Between searching for gifts, cooking big dinners, and entertaining family and friends, sometimes the Christmas décor can fall by the wayside. This year, relieve your stress through sewing and create last-minute Christmas decorations at the same time! We’ve put together a collection that aims to curb some of your holiday stress. In this collection of 34 Ways to Decorate for Christmas, you’ll find quick patterns for ornaments, stockings, and more. Sew Christmas decorations to save money and to add some of that DIY flair to your home. When you’re looking to sew Christmas decorations, free patterns are always the way to go. Here, we deliver DIY Christmas decor, last-minute decorations, and more. It’s easy—decide to sew some Christmas decorations and you’ll get to steal some time to yourself with the sewing machine! WAIT! MORE CHRISTMAS PATTERNS?! Ugly Christmas sweaters are one of the most creative and fun recent Christmas traditions! Use these ugly sweater ideas to inspire your next creation. Find tons of DIY Christmas stocking solutions in 35 Christmas Stocking Sewing Projects! Create these free Christmas stocking sewing patterns and hang your finished piece above the fireplace for a festive look this holiday season. Every family needs traditional Christmas stockings. These free Christmas stocking sewing patterns are easy to make, so you can make one for every member of your family! Whether you’re a beginner or master sewist, it will be incredibly rewarding to make your own homemade stocking. How cool is it to create a unique DIY Christmas decoration that can’t be found in nationwide department stores? Even if you’re just looking for a traditional stocking pattern, you can save a lot of money by making one yourself. Though it may seem impossible, it's not hard to create DIY Christmas gifts with the help of these 61 Homemade Christmas Gifts from Santa. Learn how to make toys, clothing, and more for the kids when Santa is in need of some assistance. These homemade gifts are not only easy to make but also budget-friendly, making your holiday a little less tough on your wallet. Say no to overpriced, department store junk and learn how to make a toy, piece of clothing, or other gift for your child that is built to last. This collection of homemade Christmas gifts lets you take a more hands-on approach to gift-giving this year. Not only is it fiscally responsible to make a toy instead of buying one, it’s fun! If you're in need of fabulous finds for Christmas such as DIY ornaments, stockings, gifts, and more, this collection is the miracle you've been waiting for. In 47+ Free Christmas Sewing Ideas, you'll find an abundance of goodies with which to adorn your home. Easy Christmas crafts are a perfect, stress-free way to celebrate the season and make your home that much more festive. Just because you want to decorate your hearth and home with Christmas goodies doesn't mean you have to run out to big box stores! Use your sewing skills and Christmas sewing projects to add some homemade happiness to your home. Not only are sewing project ideas for the holiday often budget-friendly, but they are also entirely unique. Don't just settle for easy Christmas crafts when you're preparing for the season. Include some edible treats as well! These 23 Easy Sewing Projects For Christmas + 13 Yummy Treats are the perfect way to celebrate both the decor of the season and the delicious food. Get your machine and your oven ready for these DIY Christmas goodies! The best part about Christmas is the ability to spend loving and quality time with your family. Make every moment count by working on simple and easy sewing projects for Christmas that are fun for all ages! Have fun this Christmas with these 23 easy sewing projects and delicious recipes. Placemats are a great way to add some festive flair to your home. This collection, How to Sew Placemats: 6 Holiday Craft Ideas, will show you how to give your kitchen or dining room a brand-new look for the holidays without costing you a fortune. Your family and friends will love gathering around the table for a delicious meal, especially with these beautiful and easy-to-make DIY placemats. Learning how to sew placemats is easier than you might think, especially with these quick and simple tutorials. With these adorable DIY placemats, this holiday season is sure to be a success. And you don't have to shell out a fortune to decorate your home for Thanksgiving and Christmas. Making your own placemats is so much more affordable and allows you to customize your DIY home decor exactly to your liking. DIY Christmas ornaments are the easiest, most fun crafts to make for the holiday seasn. These 29 Christmas Ornaments to Sew for a Holly Jolly Holiday will help you learn how to make a variety of adorable ornaments that will add a festive spirit to your home. These easy Christmas ornaments also make great homemade gift ideas for your family and friends. Adding some homemade Christmas crafts to your holiday decorations can really help add a lot to the spirit of your household. While store-bought decor can be tempting and way easier, Christmas is all about family and spirit. The best way to show pride for your home and show your family you truly care is to create some Christmas ornament sewing patterns that are made with love! If you’re a Christian family, the holiday season is by far the best time of the year. However, with the excitement of presents, Santa Claus, and red-nosed reindeers wafting through the air, it can be hard to keep your sights on the religious meaning in the holiday season. Make sure you keep the true meaning of Christmas in sight with this collection of 15+ Religious Christmas Craft Ideas. Deck your halls with reminders of the Nativity, baby Jesus, and God’s angels so that you can keep the holidays both holy and decorative. Your little ones will find the magic in the story of Jesus’ birth with our Nativity playset patterns, and the rest of the family will thank God every time they see such stunning religious Christmas projects put up around the house. You can even show your seasonal devotion to Christmas by sewing one of our 11 free advent calendar sewing patterns. Christmas may be a few months away, but that's no reason to wait on your Christmas sewing! Get inspired with these sewn gift ideas for Christmas from some of our favorite bloggers. The DIY gift ideas in 23 Most Wanted Sewn Gift Ideas are sure to be the most-wanted this holiday season, and there's a little something for everyone. Most of these projects are also beginner-friendly, so if you're just learning how to sew, you'll find fun projects you can make as well. From DIY designer projects for the fashionista in your life to easy DIY toys for kids of all ages, these gift ideas for sewing are perfect for everyone in your family. We've also included some charming projects for Disney, Harry Potter, and superhero fans in your life, so there's a little something for everyone. Get ready to beat Santa at his own game with these DIY gift ideas to check off your Christmas list. From our friends at FaveQuilts comes a free quilting eBook full of free Christmas quilt patterns! Decorate your home with handmade quilted decorations this year with all of these free Christmas quilt ideas. "Deck the Halls: 8 Free Christmas Quilt Patterns"
If you can't wait for the holiday season to start, then you don't want to miss this collection of 15 Festive Scrap Sewing Projects for Christmas! Designed for the sewist on a budget, this link love collection is filled with DIY Christmas projects that are designed to use up your fabric scraps. Stop letting your fabric scraps pile up by creating one of these fun holiday projects that are perfect for making in advance. From scrappy and adorable ornaments to DIY wreaths, this list of holiday sewing projects has everything you need to decorate your home for Christmas. Get ready to break out your favorite fabric scraps for these fun and festive sewing projects. Within this collection of 46 Rustic Holiday Sewing Tutorials, you can choose from a variety of country Christmas sewing patterns with a farmhouse flair. Decorate for your upcoming holiday party with projects from our DIY holiday home decor and DIY kitchen decor sections, add a festive touch with stocking sewing patterns and ornament tutorials, and get into the Christmas spirit by making your own DIY gifts and gift tag tutorials to give out to all of your friends and family members. No matter what Christmas sewing project you may be looking for, you will be sure to find your new favorite simple sewing pattern for your rustic-inspired home this winter! Without a tree skirt, your poor Christmas tree will look bare and neglected on the bottom. With this collection of 13 DIY Tree Skirt Pattern Ideas, you can easily find free tree skirt patterns to spruce up your Christmas home decor. If you don’t know how to make a Christmas tree skirt, this collection contains projects for beginners as well as for more experienced sewists. Making a tree skirt pattern doesn’t have to be exhausting. In fact, it may take you longer to decorate your tree than it will take you to make one of these DIY tree skirt ideas! From no-sew tree skirts to skirts with decorative edges, these decorating ideas couldn’t be simpler to make from start to finish. This collection even contains mini tree skirt pattern ideas for Charlie Brown-sized Christmas trees. With a new homemade tree skirt around it, your Christmas tree is guaranteed to look picture perfect. Explore this eBook and find 12 free online sewing patterns for easy gifts to sew this Christmas. 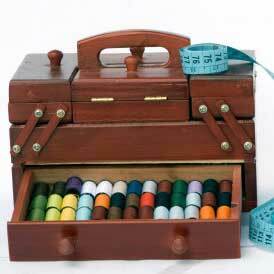 Find simple sewing machine projects for Christmas gifts and sewing machine embroidery projects for top holiday gifts. Homemade Christmas gifts will be at your fingertips with these fabulous finds. Whether you’re a hand-sewer or a sewing machine whiz, you can sew your own Christmas ornaments easily by following along with these simple Christmas craft sewing patterns. Every project comes with a comprehensive list of materials required as well as detailed photos to help you with your Christmas sewing projects. Learn how to make felt Christmas ornaments, how to make fabric Christmas ornaments, tips on making quilted ornaments, and how to use your sewing skills to make your own ornaments. This free eBook will become your go-to gift making aid. Sewing projects for Christmas allows you to practice your creative passion but also cross a few things off your to-do list. Once you see how fun it can be to learn how to make easy last minute Christmas gifts, you’ll stop worrying and start basking in the glory of procrastination. Let these sewing ideas for Christmas inspire you to create lovely homemade gifts for loved ones and friends. What's your favorite Christmas tradition? Let us know in the comments! WOW what a choice of sewing and crafts for the holiday(Christmas) looks as if I will be busy for a while.Thank you.